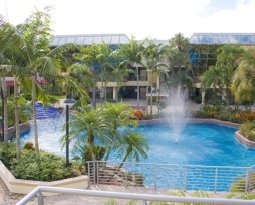 Wharfside Village Shopping Center on Powerline Road and SW 18th Street in Boca Raton, was acquired by TJAC Development and Boutique Student Living last week for a purchase price of $13 million. The center will immediately undergo renovations and a rebranding as The Boardwalk at 18th Street. The developer of the project isTJAC Development out of Boston, MA. Construction will be managed by ZVI Construction, with offices in Boston and Boca Raton. The mixed-use center includes 107,000 square feet of leasable space with medical, retail, commercial and restaurants tenants including Carrabba’s Italian Grill, Wild Hare Salon & Spa, and Women’s Healthcare Associates, Ress Plastic Surgery, and Boca Pointe Association, among others. Renovations will include a new boardwalk and several structural upgrades and enhancements. The ‘facelift’ of the center will reflect its new branding, which will be more luxurious and contemporary. “Boca Raton is a vibrant and booming market and we are very committed to our investments here,” says Zvi Schwarzman, founder and principal of ZVI Construction and partner of TJAC Development. 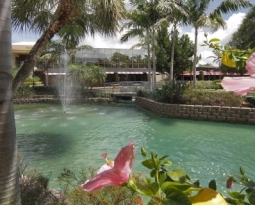 Among other recent acquisitions for the group is Fountains Center, located on Camino Real and Powerline Drive. 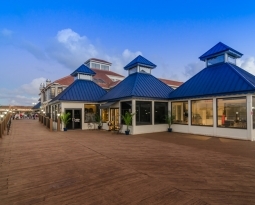 Wharfside is currently 60 percent occupied and, going forward, ZVI is looking to attract new tenants and plans to dramatically increase the occupancy as part of the renovation and shopping center upgrades. Building on the most recent success at Fountains Center, ZVI anticipates the same success to follow at The Boardwalk at 18th Street. ZVI increased occupancy at the Fountains Center from 42 to 86 percent within the last year. The deal was brokered by Cushman & Wakefield, which represented the seller, and Stateland Brown, which represents the buyer. 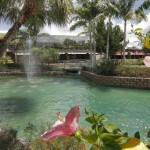 Wharfside Village Shopping Center/Boardwalk at 18thStreet, is located on Powerline Road at SW 18th Street in Boca Raton. For information on leasing, contact Ayal Frist at 561.235.5434.